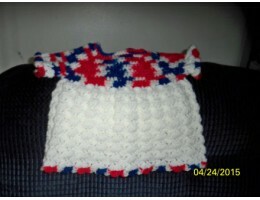 This adorable baby dress is hand-crocheted from 100% acrylic yarn so you can machine wash and dry it..
Won't your new baby or grandbaby look cute in these! 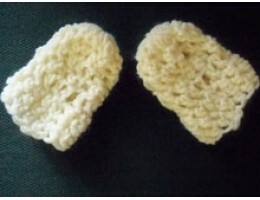 Knitted from 3-ply acrylic yarn, they are machi.. 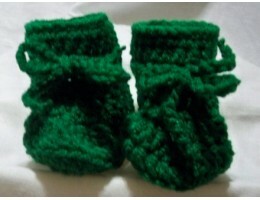 These adorable booties will fit the average newborn and are handmade from 100% acrylic yarn. 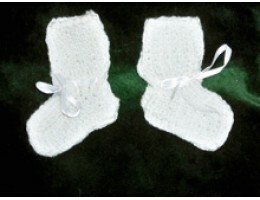 They co..
Sweet little mittens to match our newborn layettes! Perfect for keeping baby's hands warm on a cold ..